Place the 2-ball in front of the side pocket, about 1/4 to 1/3 of the width of the table, away from the pocket opening. Place the cueball one foot away from the 2-ball, slightly off straight on, so that you can cut the 2-ball backwards. Shoot the center of the cueball at the edge of the 2-ball, hard, with a dead center stroke. 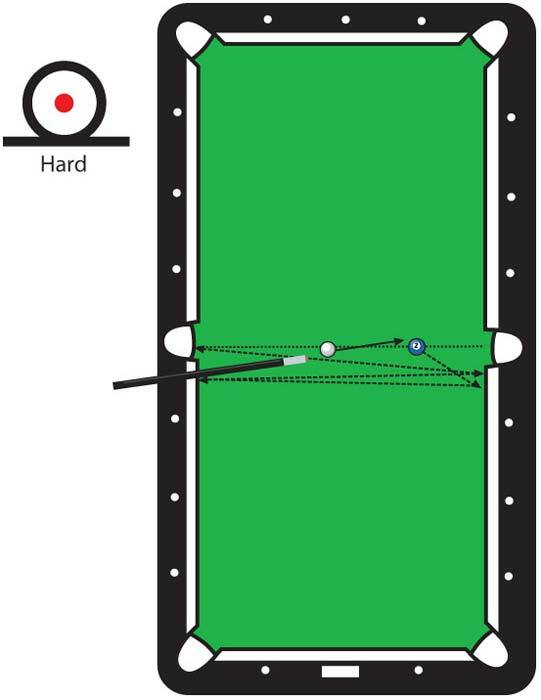 The 2-ball will bank three times cross the table, and go into the opposite side pocket. Even though some trick shot books say you need to shoot this shot with sidespin, it is not necessary.